Apartment in very good condition, and correctly equipped with small kitchenette (refrigerator, microwave oven, electric stove, + cutlery, etc). Conveniently located in the center of Lausanne (on a busy road, but that didn't bother me personally). It’s very automatic. Small but very comfy. Well located. Great location! Very clean! Easy access after hours! Convenient for the beautiful cathedral and old town and very clean. Lausanne is a lovely city but the restaurants can be expensive so it was useful to have basic cooking facilities. Close to metro stop. Quiet within the apartments themselves. Staff was very helpful, room was clean, close to the city center, and close to the train station. We enjoyed the view of the cathedral and it was nice to have a fridge and little space to cook. Great location, quiet, clean, reasonably well-equipped kitchen. Would book again. The room and commodities as well as the hotel's location. Everything was super! I was so glad to stay at the hotel. 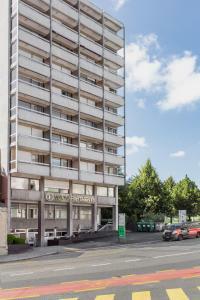 One of our top picks in Lausanne.A 15-minute walk from Lausanne Train Station, Vision Apartments Rue Caroline offers spacious apartments in the center of Lausanne. Free WiFi is available. 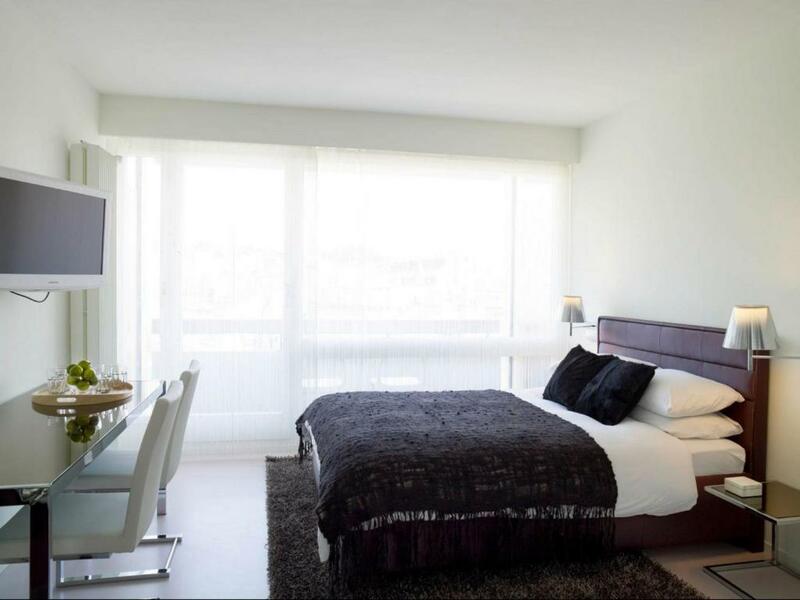 The modern apartments and studios feature a plasma TV, a kitchen with a dining area, and a bathroom. 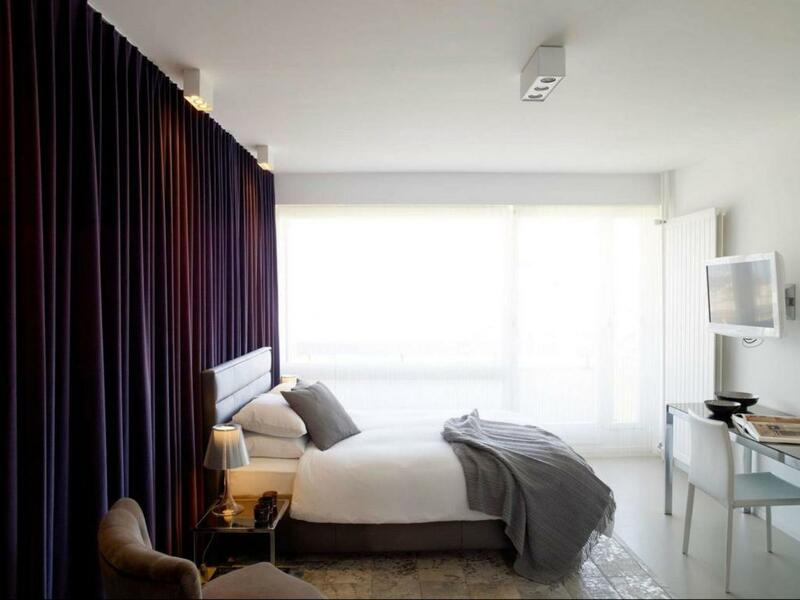 Maid service including waste disposal and exchange of towels is provided for stays longer than 6 nights. The Ours and Bessières Metro Stations are both just 650 feet from Vision Apartments Rue Caroline. 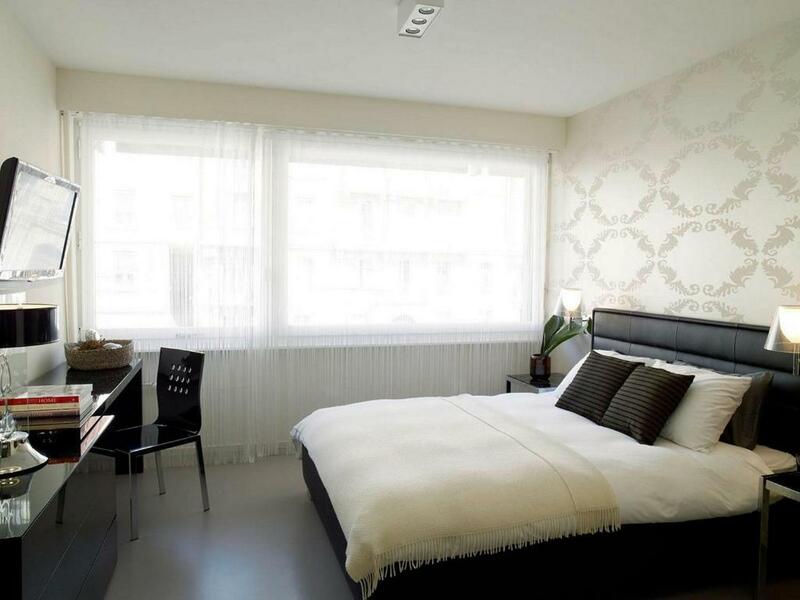 뀐 Located in the real heart of Lausanne, this property has an excellent location score of 8.4! 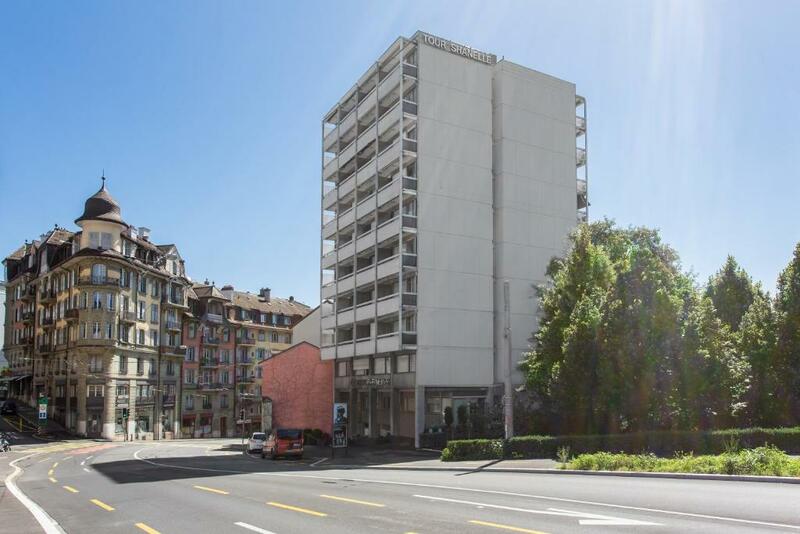 When would you like to stay at VISIONAPARTMENTS Lausanne Rue Caroline? 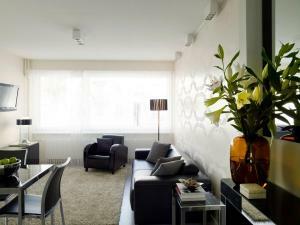 Unit with a fully equipped kitchenette, a plasma TV, and a bathroom. 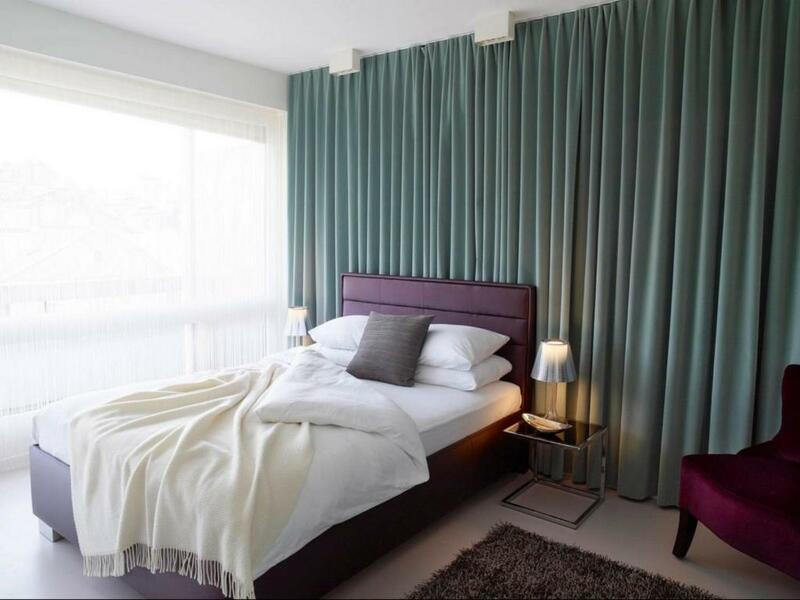 This apartment features a bedroom with a double bed and a flat-screen TV, and a separate kitchenette. Apartment with a bedroom, a kitchenette with a dining area, a flat-screen TV, and a bathroom. The entrance is on the right-hand side of the building. Please note that this particular apartment has no elevator. The cathedral and a park are nearby. This apartment features a electric kettle, kitchenware and flat-screen TV. Area Info – This neighborhood is a great choice for travelers interested in cathedrals, shopping and culture – Check location Great location - show map Guests loved walking around the neighborhood! 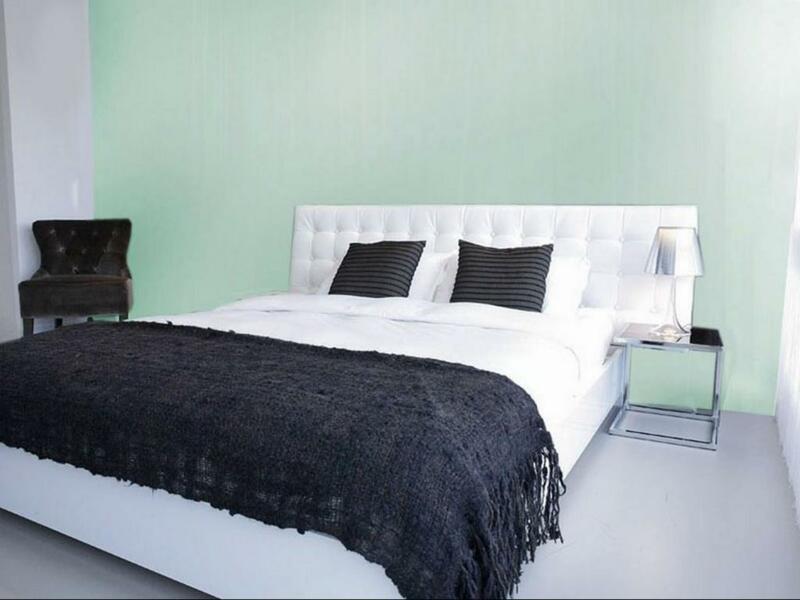 House Rules VISIONAPARTMENTS Lausanne Rue Caroline takes special requests – add in the next step! 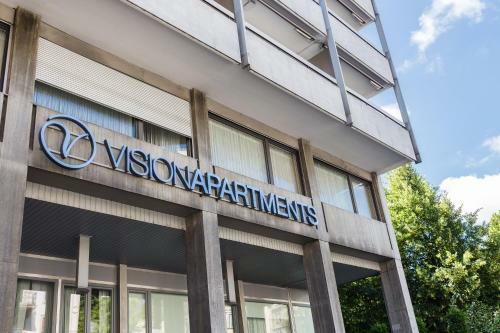 VISIONAPARTMENTS Lausanne Rue Caroline accepts these cards and reserves the right to temporarily hold an amount prior to arrival. Please note that there is no reception in the building. Check-in takes place directly at the apartment. Guests must provide a copy of their identity card or passport via email or text message in order to receive the access code. VERY POOR, incomplete checking-in instructions, which imperatively need to be completed and clarified!! - I saw no mention of the fact that the reception is open only during (very restricted) office hours, and so a copy or photo of id needs to be supplied by electronic means if the customer arrives in the evening (as in my case). The instructions said to supply a copy of an id document by 22:00 (10 p.m.), but the reception was already closed at least 4 hours earlier than that. - I saw no explicit mention of HOW to send a copy of an id document (i.e., by what means?, to what number if by SMS?, or to what email address if by email?, or to what number if using WhatsApp?) BE AWARE: You should ideally send your id IN ADVANCE in order to receive your code BEFORE you arrive. Otherwise, if you arrive outside office hours, you will need a working smartphone (with camera) AND a well-charged battery, AND a "roaming" option for phone calls and MMS messages! That's my first time writing a review; although I always used booking.com for all my trips. Usually I can't be bothered and I consider myself as an easy client. However this time , I think this must be written. I went to Lausanne to rest for 10 days therefore I wanted to have a kitchen. That 's why I choose this hotel. But Ohhh Lord, if I knew I would not have chosen it at all: almost everyday at 9h00 the cleaners were ringing the bell and knocking at my door although I had asked not to be disturb at least not in the morning. I repeat it so many times to all the staff but NO, they simply did not care. Monday morning, it is " control day" they came for, Tuesday morning they again came to check the bedhead (to make sure the leather had no hole at 8h45 am), Wednesday at 8h00 is the drill that made a terrible noise because they doing some building work on the ground floor and being on the 3rd floor did not change anything the noise was just terrible. Friday morning at 9:00 am it is cleaning day etc... To add to my distress, the day of my departure at 9am the cleaners were at my door ringing and knocking to ensure that I respect the departure time which is 10am, no flexibility possible. This was just incredible to me!!! To make things worst as there is no key (only a code) nor "do not disturb" button or card, they just enter the room as they are pleased. They rang and just opened the door... so I had to put a chair in front of the door so that they stop barging in the room. To me they have no sense of service and respect in this hotel. It is definitely not an hotel to choose to rest..if I had known I would have gone for a Air BnB as my friends recommend later. However, if you are there in business trip or on weekends, it shall be fine as at 9am you won't be in the room; and saturday and sunday are the only days of calm and peace. I asked to stay in the same room, and the answer was YES. When I checked my e-mail was another room. Not too honest. Then I had to stay around Lausanne with all my valigie for 4 hours. Bad isolation of the windows. The apartment is cold and noisy. The location, the big and nice room. If you ask that, its hard to figure out :), maybe lot of alarm cars passing during night, but if already was asleep, then i didn´t hear anything.